Thu., April 5, 2018, 8:36 a.m.
A GRIP ON SPORTS • Tradition and history are crucial elements in every sport. But none celebrate it more than golf, which traces its roots back to sheepherders and sailors from 500 years ago. And, no, the Masters hasn’t been around that long. It only seems as if it’s been “a tradition unlike any other” since the 1600s. Read on. • But even traditions change. And traditional bastions can evolve. 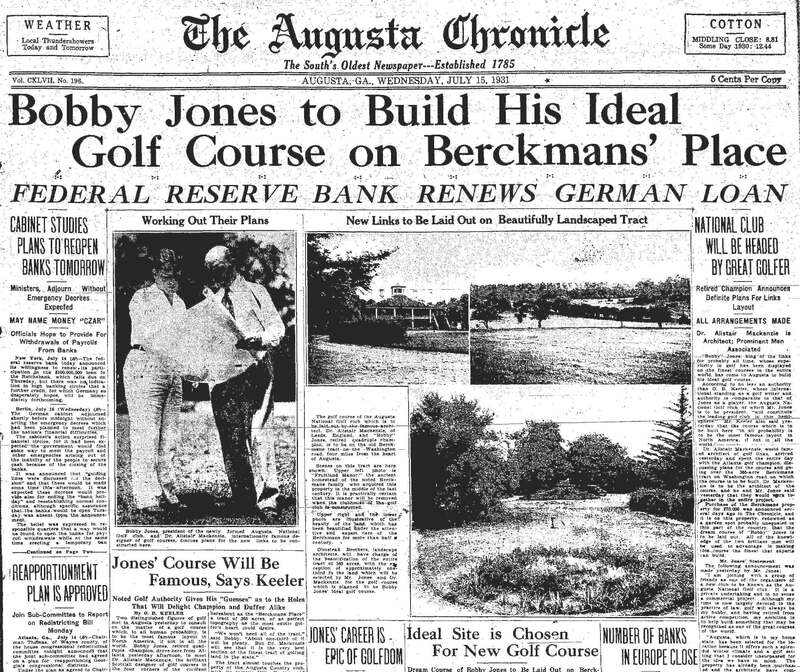 Such is the case with Augusta National, which has hosted the Masters since Bobby Jones was swinging a mashie. In fact, Jones, the greatest amateur golfer of all time and among the best to ever pick up a club, helped found the club back in The Depression. Back when African-Americans weren’t allowed to do anything other than cut the grass and serve drinks. Back when women weren’t even allowed on the premises. Back when such social norms were considered acceptable by a majority of Americans. That’s not the case these days. Back when has become now. And even Augusta National has changed. The ethnic makeup of the membership, and the players in the game’s most celebrated tournament, has changed. The gender makeup of the membership has as well. And, starting next year, there will be a Masters-like tournament for women. The club, which spent years fighting over the makeup of its members, going so far as to eschew commercials to avoid boycotts, will host a women’s amateur tournament starting next spring. The final rounds, to be televised, will be held the weekend before the Masters. Amateur golf was Bobby Jones’ passion. 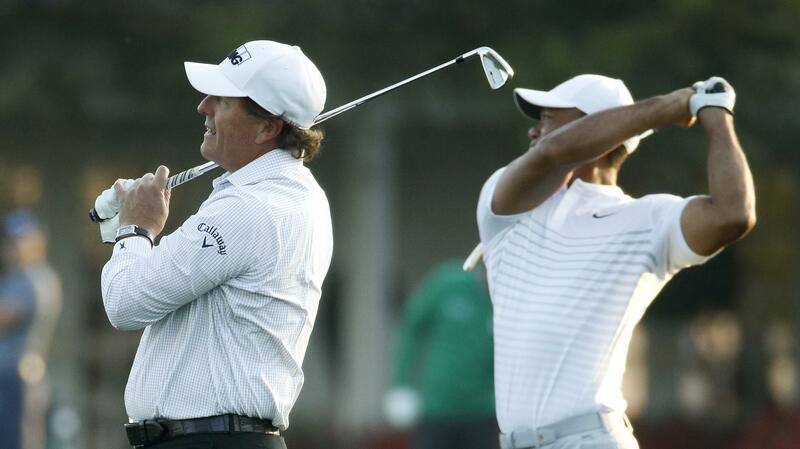 The best in the world are invited to play with the pros in the Masters every year. The lowest score earns a medal and an invite to the green jacket ceremony. Many would-be-pros wait until the Monday following the Masters to turn professional, as not to miss their first chance to play the course. So it seems appropriate Augusta National would embrace amateur golf as a way to open the door to more competition, more opportunity for a group of golfers who have never had the chance to dunk an 8-iron into Rae’s Creek or watch their approach shot at nine roll back to the bottom of the fairway. It’s not equal opportunity, exactly, but it is an opportunity. And a historic change in tradition. • As we write this morning, the tournament online broadcast is playing on another part of my computer screen. Tiger Woods is featured. All’s right with the world. As it was yesterday when the par-3 tournament was played. The highlight? When Jack Nicklaus' grandson, wearing his caddy whites, was given the club on the last tee. And proceeded to knock it in for a hole in one. Nicklaus called it his best moment at Augusta. If you watch the video, it's easy to see why. Gonzaga: Speaking of tradition, the Zags will go into the 2018-19 basketball season as one of the favorites nationally. Jim Meehan perused the Internet this week and has a story on how the experts perceive the Bulldogs’ chances next season. WSU: Around the Pac-12 yesterday, Washington was back at it in spring football practice. Most of the focus thus far has been on the defense, though the offensive line is also in the spotlight. … Oregon State began practice yesterday with some bad news. … Oregon is in the middle of its spring as well and one player has decided to leave. … The two Oregon schools have some basketball news too, with players coming and going. … There is still some discussion of Herm Edwards comments the other day. … Can Arizona get back to recruiting players from the Islands? … Utah takes pride in its defense. … This off-field news is something I will continue to follow. EWU: Will the last person to leave the athletic department please turn the thermostat down? Jim Allen has a couple stories today, one on the departure of another athletic administrator and the other on the sheer number of departures since Bill Chaves left for the Midwest. … Jim also has a story on Bogdan Bliznyuk’s tour of postseason events. … Larry Weir’s Press Box pod includes talk about the Eagles’ start to spring football. Idaho: Rob Spear spoke before the Associated Students of the University of Idaho council last night, explaining his view of the 2013 sexual assault and harassment complaints from a Vandal athlete. After lengthy discussion, the board voted to call for Spears’ resignation. Peter Harriman has more in this story. CCS: The Sasquatch ran its winning streak to 10 games before it lost a doubleheader nightcap yesterday. Preps: Greg Lee is back with a feature and a notebook of track and field items. … We can also pass along a story on GNL soccer as well as Steve Christilaw’s thoughts on Central Valley’s basketball season. … Former Coeur d’Alene High basketball coach Dean Lundblad died Tuesday. Ryan Collingwood has the details. Mariners: The second Felix Hernandez start of the season wasn’t nearly as encouraging as the first. In fact, it was downright awful. The M’s lost 10-1 to the Giants yesterday. … James Paxton left a day early for Minnesota. … Some key players are still trying to start the season. Seahawks: This may be the Hawks’ most important draft ever. …They still need a backup quarterback. Published: April 5, 2018, 8:36 a.m.